The Lightning Network is Bitcoin’s biggest step in achieving global performance and scalability. To truly achieve scale in the billions of transactions per day, you need what’s called “off-chain” transactions, and the Lightning Protocol lays out exactly how it’s done. 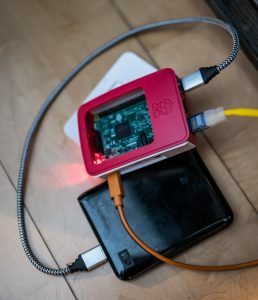 This guide walks you through the steps in running a full Bitcoin Lightning Network node on a Raspberry Pi. When you’re finished, you’ll have a full-featured, decentralized international bank in the palm of your hand contributing to world commerce! How cool is that? Plow through these steps, and you’ll soon be up, running and doing your part in making Bitcoin and the Lightning Network bigger and stronger! First, you need a Raspberry Pi and an External USB drive with at least 250GB (as of the time of this post) capacity. I found an old, slow 250GB USB 2.0 drive lying around. It doesn’t have to be super fast – it’s more about storage than speed. Install Raspian and enable SSH. Follow this guide for detailed instructions. Next, you need to mount your USB drive. The MicroSD card should be used for the operating system and programs only, not for the large and growing Bitcoin blockchain. I recommend formatting the drive as NTFS, but you can also use native Linux EXT4. 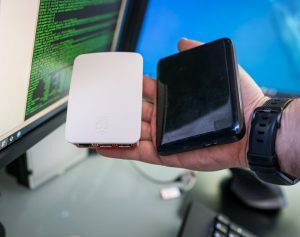 One of the main reasons you may want to use NTFS, is that if you want to download the blockchain faster, you could download it via a Windows full node, and then use the drive for the Raspberry Pi. For details on other options, here’s a detailed guide. For this example below, it assumes you’ve formatted the drive as NTFS. Plug your drive into your Raspberry Pi. Now you’ll install NFTS on Raspberry Pi and mount it. Great! Now our Raspberry Pi is setup, we’ve got the latest-and-greatest updates, and enough disk space to host a full node. On to Step 2. First, install the pre-requisites needed to compile and run Bitcoin. Let’s update all packages again just to ensure we have latest and greatest. OK, let’s download Bitcoin and build it. As of this post, Bitcoin is on version 0.16. Change the branch name (-b) below to the latest version. Be prepared to wait. This may take at least 2 hours! Add a symbolic link for ~/.bitcoin. This makes it easy to run bitcoin-cli commands without having to specify a specific -datadir each time. So now when you reboot, bitcoind will startup. Once the blockchain is synced – WHEW – that’s a lot of steps, but hey, if it was easy everyone would be doing it. We’re still in the early phases here. Be sure to open and forward both port 8333 (Bitcoin) and port 9735 (Lightning) on your router. The lnd Lightning implementation was developed using Golang. Learn about why Go is great! Send a small amount of Bitcoin to your Lightning Node. As of this post, LND is still beta! 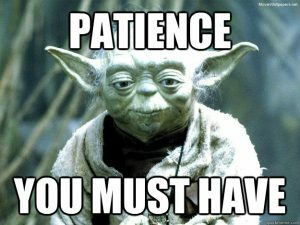 Be careful, and just send a small amount of BTC. Looking back, that was quite a few steps, right? I know that this can be simplified using Docker, and I may do this at some point. This is my predecessor guide to packing this up as Docker container that as a future iteration. You made it! There’s obviously a lot to Lightning, and this is just the beginning. These are the very early days. Soon, Lightning will live on your phone and desktop machines and you won’t even realize you’re using it. It will be as seamless as mobile location services are today. For now, plowing through these steps helps you understand how it all works, and you can sleep well knowing that your little $35 computer is helping grow and secure the network for Bitcoin – the world’s future currency. Now that you’re up and running with a full Bitcoin Lightning Network node, what happens to it if there’s a problem? I’ll tackle maintenance, monitoring, and health in my next post! The official web site of Brett Morrison, Self-Made Technology Entrepreneur. © 2019 Brett Morrison. All Rights Reserved.